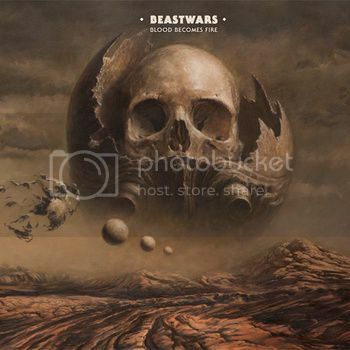 Beastwars Streaming Audio Samples Of "Blood Becomes Fire"
New Zealand sludge band Beastwars will be releasing its new album "Blood Becomes Fire" on April 19th, and is streaming four minutes of audio samples from it over on its website. The Wellington band has also posted a few tour dates, which follow. Below is the tracklisting and cover art for "Blood Becomes Fire," which was produced by the band and Dale Cotton. 1 Comment on "Beastwars Reveals Album Details"